After a brief period of inactivity, which included an unfortunate detainment in Indonesia, Gentle Bones will be making a much-needed comeback in June. He will finally be making his debut at Esplanade Concert Hall, after his initial show there last December was canceled. The show is set to be his biggest headlining show yet, after a sold-out affair at TAB in 2014. Gentle Bones, real name Joel Tan, has been preparing material for his highly-anticipated second EP, and he will be debuting a few songs off of that in the show, along with selections from his beloved self-titled EP. Electronic duo .gif are slated to open for Gentle Bones, on the back of their (excellent) debut album soma. 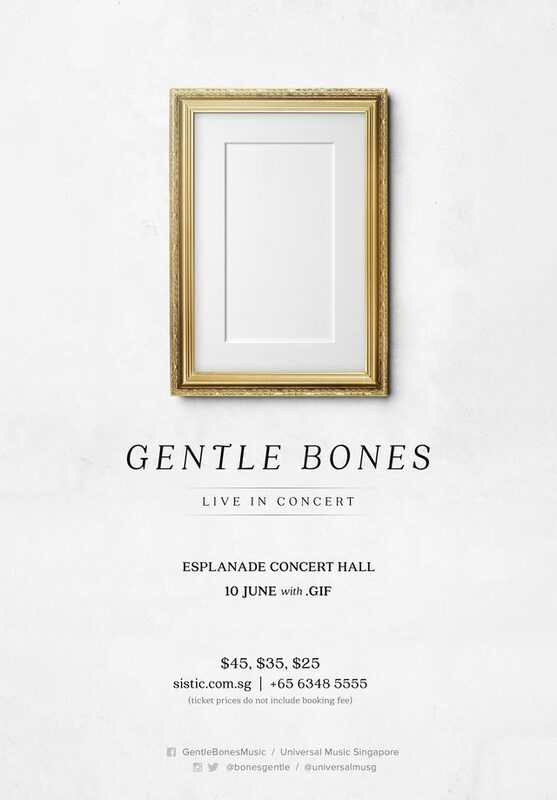 Gentle Bones takes on the Esplanade Concert Hall on June 10th. Tickets will be available from January 29th onwards on SISTIC, with ticket prices running at S$45, S$35 and S$25. Event day ticket sales are priced at S$55, S$45 and S$35.